For a modern bedroom, you need a sleek, clean design. Something that doesn’t present distractions, just plenty of storage. It’s a given with the Stretto. It’s the on-trend organiser's dream. 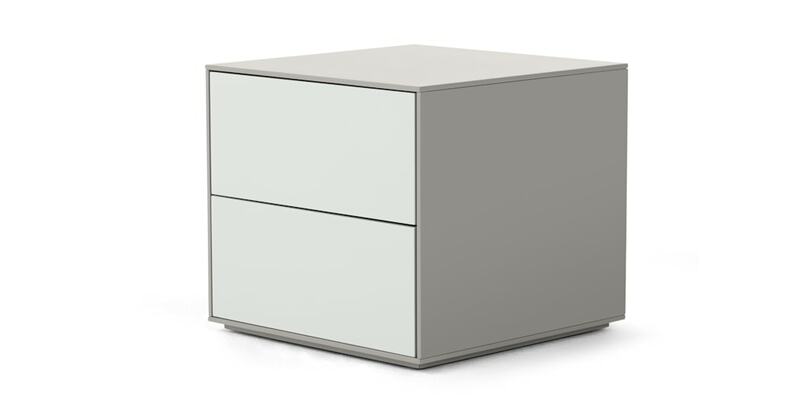 Crafted from engineered wood with matt grey fronts over 2 large drawers. It’s incredibly simple, but the devil is in the detail. Check out contrasting grey body, added for a designer twist. And there's a push-catch opening on the drawers, so there's no need for handles.